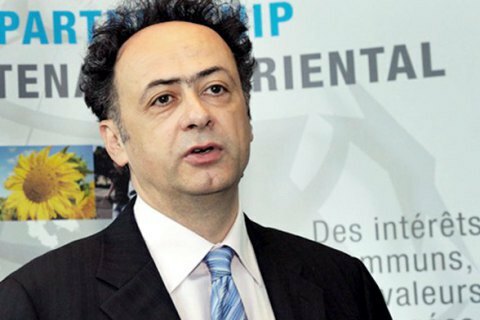 Hugues Mingarelli said that competence is critical for the appointment. The European Union intends to examine in detail the law abolishing the competition for the selection of the heads of local administrations in Ukraine, head of the EU Delegation in Ukraine Hugues Mingarelli told Interfax-Ukraine on Thursday, 16 November. "We still need to scrutinise this new law, but for us it is obvious that people like heads of local administrations should be hired based on their competence, and we hope that this will continue," he said. On 9 November, the Ukrainian parliament adopted a bill that removed heads of local administrations and their deputies from the category of civil servants. This means that they will be appointed by the president on the proposal of the government without a contest, as was the case until May 2016, when the new law on civil service came into force. President Petro Poroshenko signed the bill into law on 13 November. The next day it came into force.